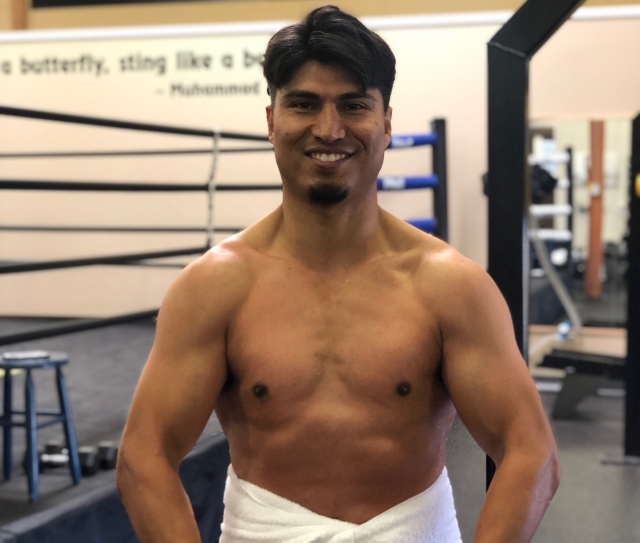 Four division champion Mikey Garcia’s giving up height (5-foot-9 ½-to-5-foot-6) and reach (72-inches-to-68) entering his March 16 clash of unbeaten and 147-pound debut against IBF welterweight champion Errol Spence Jr., yet insists he will will neutralize “The Truth” in his quest for a third defense and 12th straight knockout victory at The Dallas Cowboys’ Stadium in Arlington, Texas, on Fox Pay Per View. “I’m the type of fighter who can adapt and adjust to my opponent very well. Even though Spence has a southpaw stance, I’ve never had any problems with southpaw fighters. As far as game plan, I’m going to be working on different things and be better prepared.,” said Garcia, 31, who will face the 28-year-old Spence near his hometown of DeSoto, Texas. Garcia is in his first two weeks of what will be a full month with strength and conditioning guru Victor Conte at his Scientific Nutrition for Advanced Conditioning (SNAC) facilities in San Carlos, California, an organization that supplies legal sports nutrition products and supplements. “I hear people saying they’re going to put 12 pounds of muscle on Mikey and he’s going to be slow, but we do heavy duty bungee and over and under hurdle drills among other things,” said Conte of Mikey Garcia, who will begin traditional sparring and gym work next month with Robert Garcia in Riverside, California. Garcia dominated the last left-hander he faced in 5-foot-4 Dejan Zlaticanin, who entered their bout at 22-0 with 15 KOs, as well as a taller, rangier, nearly 6-foot Robert Easter, an orthodox fighter who was armed with a 76-inche reach and a record of 21-0 with 14 KOs. Garcia dethroned Zlaticanin as WBC 135-pound champion in January 2017 by third-round knockout to become a three-division title winner, ending with a right uppercut that sent Zlaticanin reeling before grazing him with a left hook and finishing his man with a crushing right cross that left the ex-champ lying motionless on his back beneath the ropes. In March, Garcia won a fourth crown in as many divisions with a unanimous decision that dethroned previously unbeaten IBF 140-pound champion Sergey Lipinets, then returned to 135 in July against Easter, whom he dropped in the third round of a unanimous decision that unified Easter’s WBC crown to his IBF version. In victory over Lipinets, Garcia joined Juan Manuel Marquez and Manny Pacquiao in modern boxing history with the distinction of having won titles at 126, 130, 135 and 140 pounds, a feat that followed Garcia’s non-title unanimous decision over four-division champion Adrien Broner in July 2017. Garcia had earned the 126- and 130-pound titles over a 10-month span in 2013, doing so in January and November of that year. In the first instance, Garcia won the WBO’s featherweight championship with an eight-round technical decision over Orlando Salido, whom he dropped four times. Garcia followed Salido with a fourth-round knockout of left-handed ex-beltholder Juan Manuel Lopez on June 15, 2013, even as he lost the title on the scales, necessitating a rise into the 130-pound division. In his next fight that November, Garcia rose from the canvas in the second round for an eighth-round knockout that dethroned previously once-beaten WBO junior lightweight champion Roman “Rocky” Martinez. Garcia stopped the Puerto Rican for the first time in his career, earning his second championship in as many different weight classes, and, at that point, had stopped 10 of 11 opponents.